So much happened…so little changed. Public updates have been few and far between this year for several reasons. 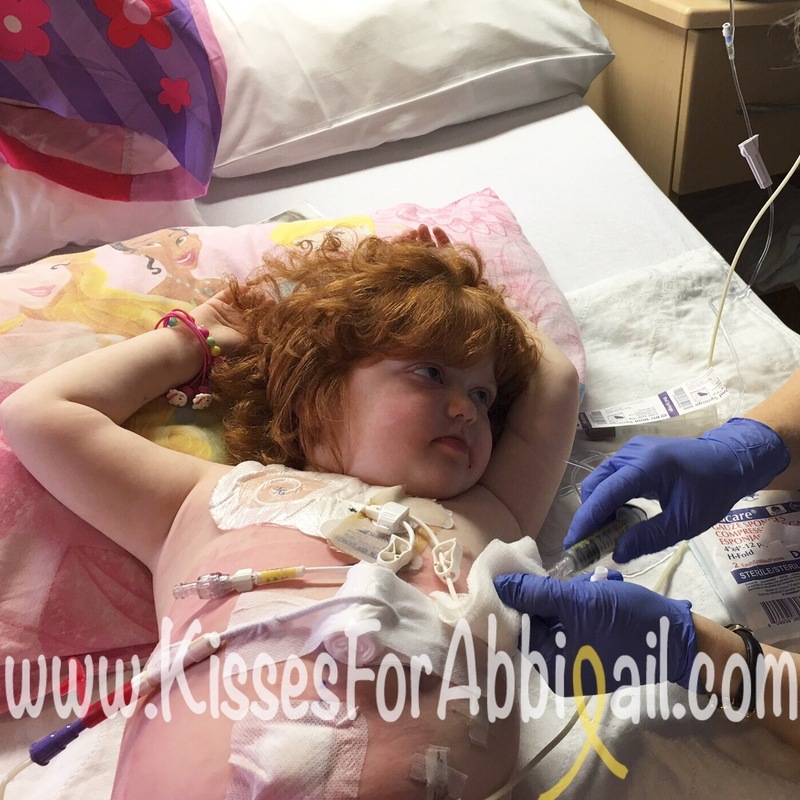 We have received each and everyone one of your prayers, well wishes and private messages seeking good news about Abbigail and we whole heartedly appreciate them all. Thank you for never forgetting about our precious girl and her battles. It has been a long year with many difficult times but we’ve also had many joys to celebrate as well. Looking back is always bitter sweet, seeing all that we’ve been through, all that Abbigail has accomplished and how far she’s come, but also seeing all that we’ve missed, all the milestones she’s not attained and all that is still ahead for her. Over the last year so much has happened yet so very little has changed. 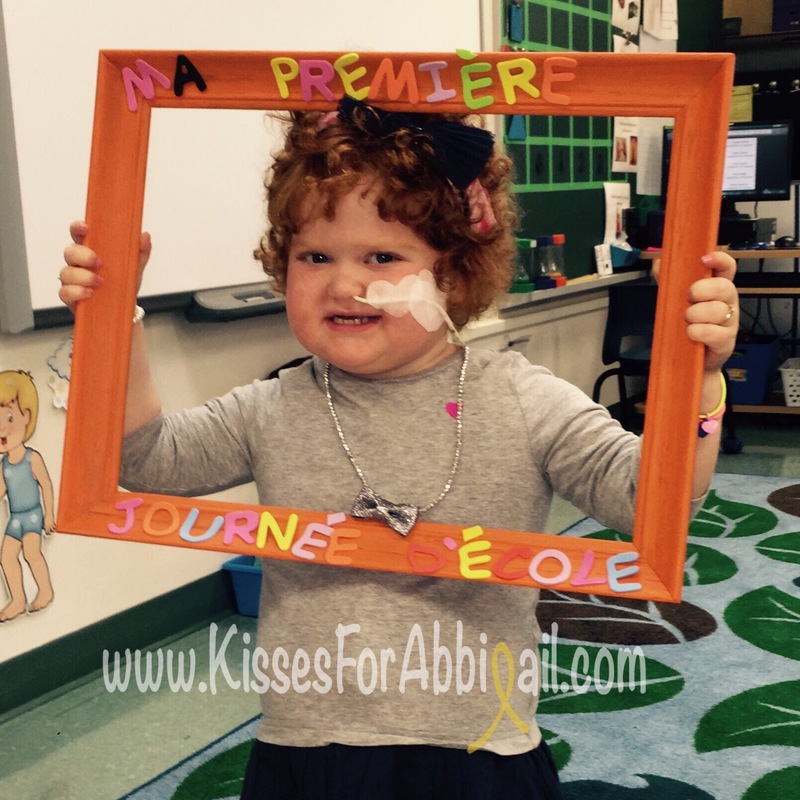 Abbigail’s last year started out very roughly with an agressive OMS relapse leaving her relying on her feeding tube for nutrition, losing weight daily, unable to be a kid, stumbling, missing school, in pain, extremely exhausted and overly irritable. We quickly had to increase her medications, double up her in hospital IV treatments every two weeks and watch her body and mind transform again…not for the better. 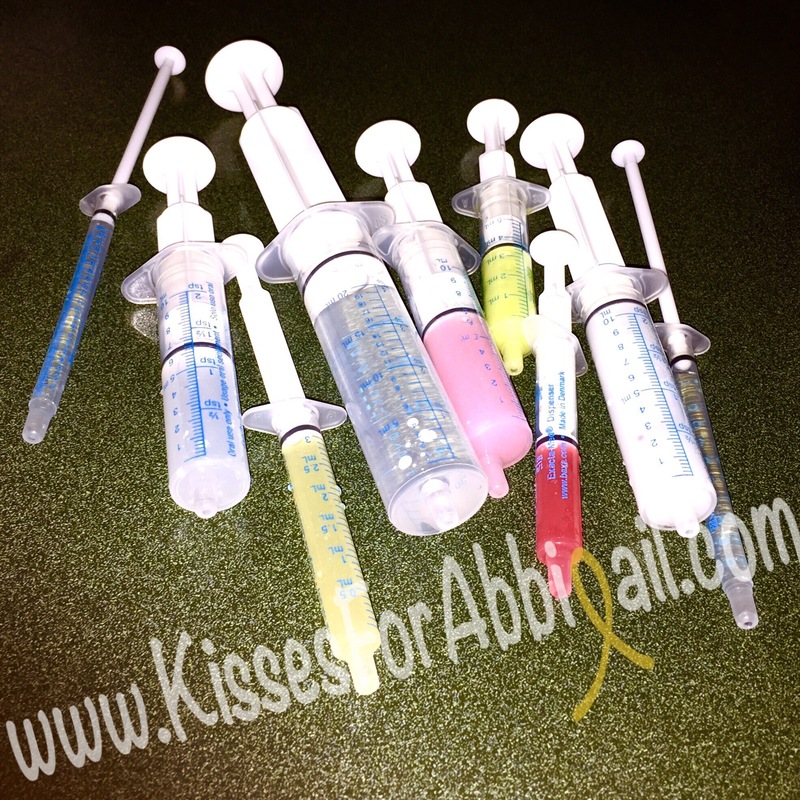 Relapses are very difficult in her body and cognition and sadly result in further brain damage. Although she was able to recover from the acute OMS symptoms, she has not been able to reverse any damage nor reach remission neurologically. Despite these difficulties though, Abbigail managed to successfully change schools in September and prove that she is capable of so much more than we ever thought! Change is difficult for Abbigail, so this decision to switch schools was not taken lightly and was a challenge for us all however it was so worth it! 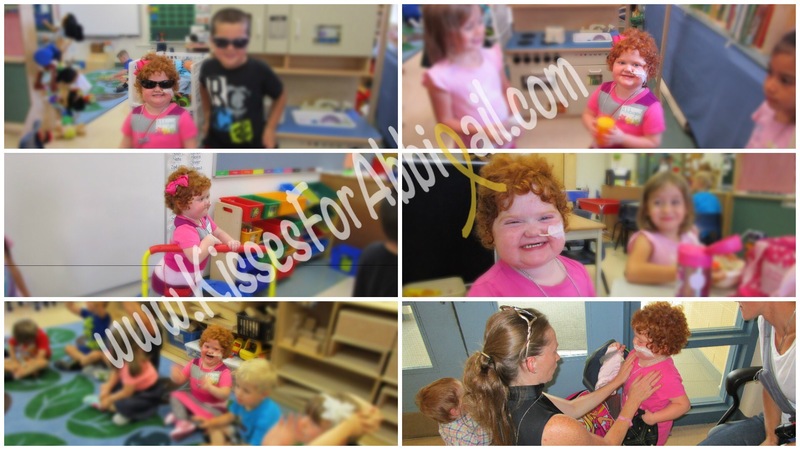 Her old school has always been so supportive of her and our family and was sad to see her go but it was with their support that we were able to transition Abbigail and all of her services. They will always have a huge place in her heart and mine because I watched my sick little girl light up and bloom so much when she walked through their doors. They set the bar high for her education and support. Thank you will never be enough ❤️ Now that she attends an english speaking school Abbigail has reached levels of speech we didn’t think we’d ever witness, her motor skills and academics have made leaps and bounds which I have strongly attributed to her amazing support system there that has allowed for her growing confidence to shine. I can’t explain to you how it feels to see her accomplishments on paper and to hear her speak about her pride in what she is doing with her peers. You can’t help but smile when you see her light up. We couldn’t be prouder of how hard she is working in class! She surprises us daily and hearing her stories from her day brings me so much joy knowing how it “could be” instead of how it is…at least for today. Turns out so much happened that I can’t fit it into one post. 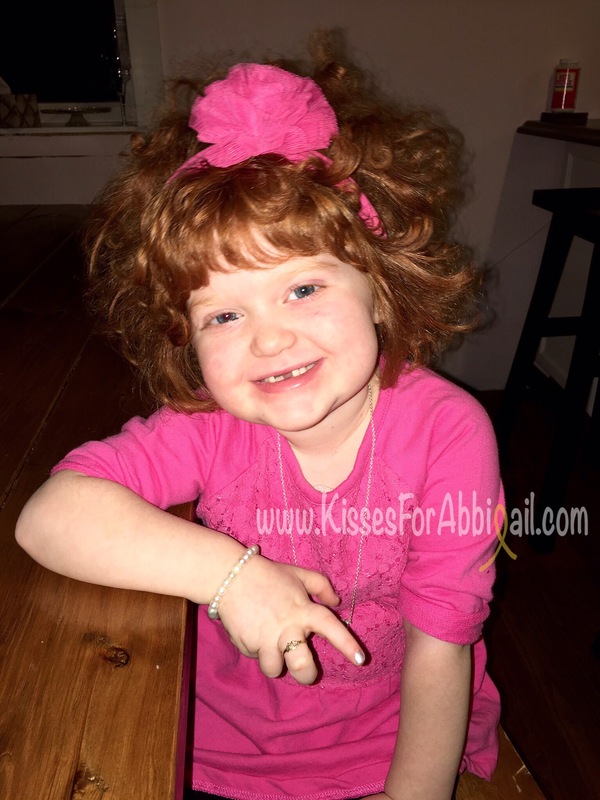 Abbigail’s spirit is such a gift. Something so special it is just as rare as her diagnoses. She runs at her challenges and faces them head on…never giving up. We have stood up for her, battled for her and carried her for over three years as she suffered the unimaginable over and over again. We are tired. She is tired. Her brothers are tired. Our family is tired. 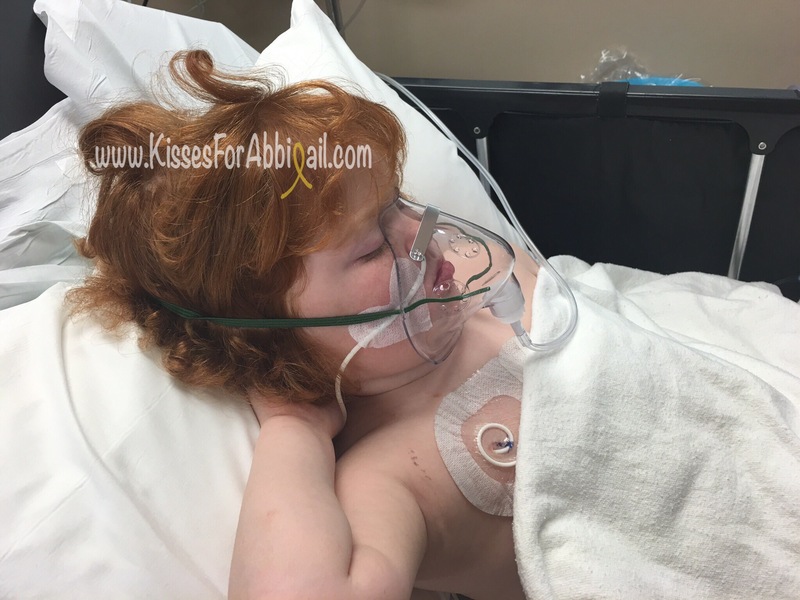 Exhaustion never stopped Abbigail to date. It won’t stop us either. As we watch her get up from a fall, shake as she tries to cap her lipstick or repeat herself tirelessly to get her thoughts across, we are never short on inspiration. 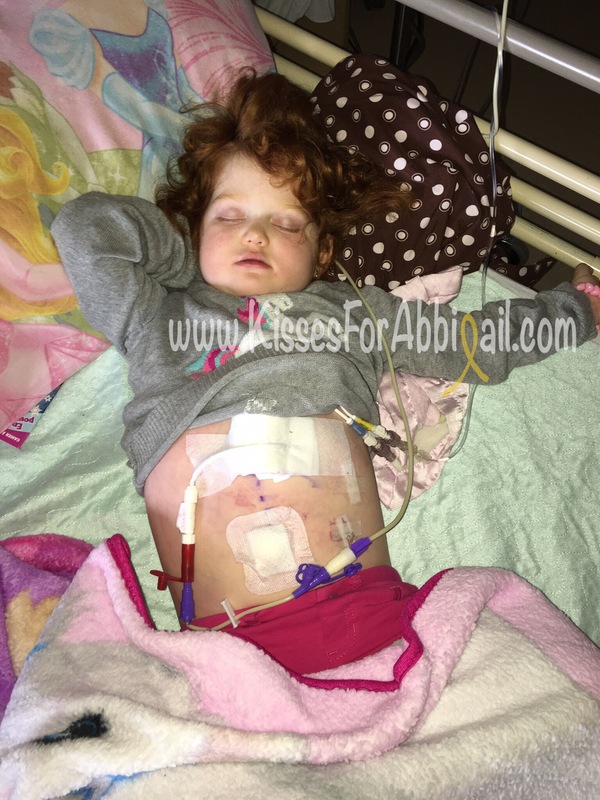 Abbigail is not giving up! Over the last few weeks we have brought Abbigail for blood work, tests, clinic visits and we’ve watched her fall asleep by anaesthetic a handful of times. All in the name of hope. We had hoped to find an explanation for her symptoms, her lack of improvement and the nodules riddling her liver and threatening her future…her spirit. The latest scans, done on Thursday, revealed multiple new lesions, growing and enhancing nodules and possible damage to surrounding areas and organs. She is experiencing some abdomen pain and back pain, above and beyond her chronic pain caused by year’s of steroid treatments, chemotherapies and in addition to her torturous OMS attacks and flares. Her liver enzymes measured in her blood are slightly elevated however other than these symptoms, we have no other explanations or indications to provide answers for these aggressive nodules in her liver. We have consulted physicians at both CHEO and SickKids. 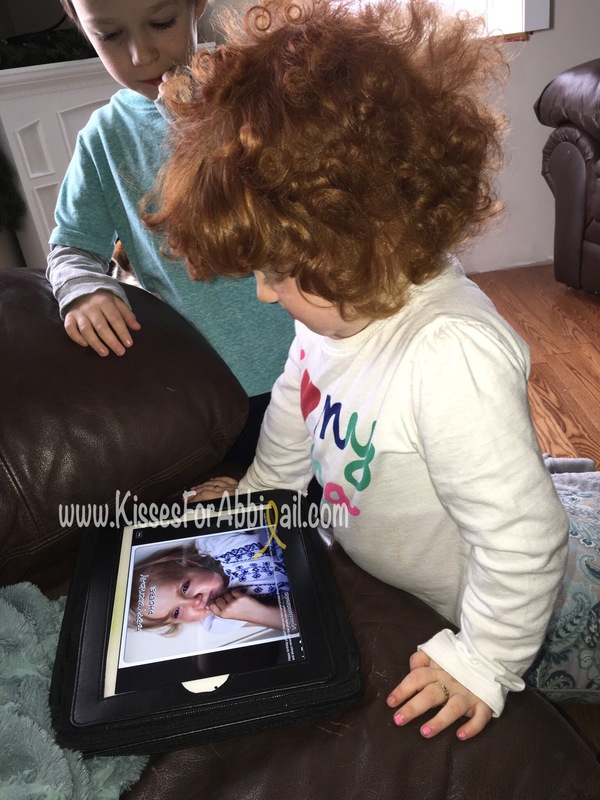 We have a team of oncologists, neuroblastoma specialists, radiologist, pathologists, and surgeons reviewing her images, lab results and biopsy slides trying to piece this mystery together because she is falling into every minority, rarity and impossible diagnosis. To date we have eliminated many possible diagnoses but have still not been able to dismiss more Cancer. 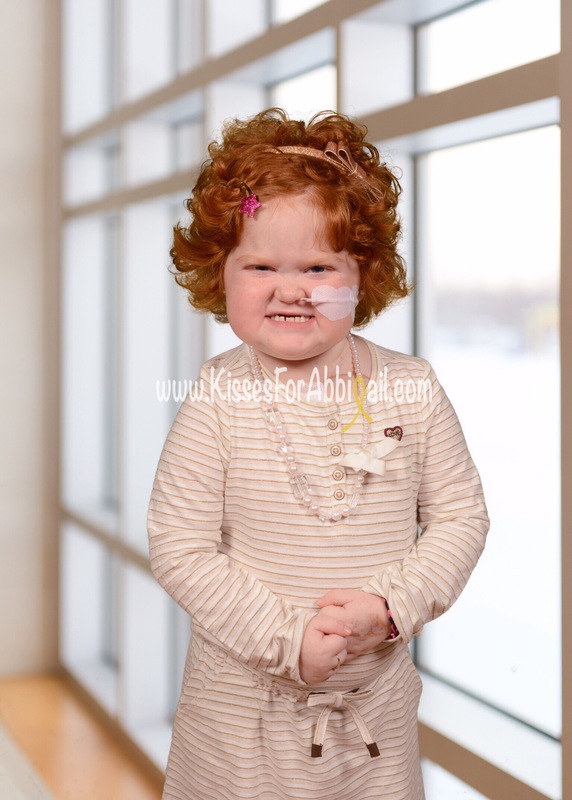 Tomorrow this team that cares for Abbigail, their little hallway hero, the firecracker they all know, recognize and hear in the halls several times a week, will meet again to plan the safest way to obtain a new piece of tissue from the largest of tumours in her liver, on her backside. The hope is that this could provide insight and a path forward for treatment. She is not in any immediate danger and she is far from critical, however time is of essence because as we have seen, within a week these ugly things have already grown and spread and have been steadily doing so since December. 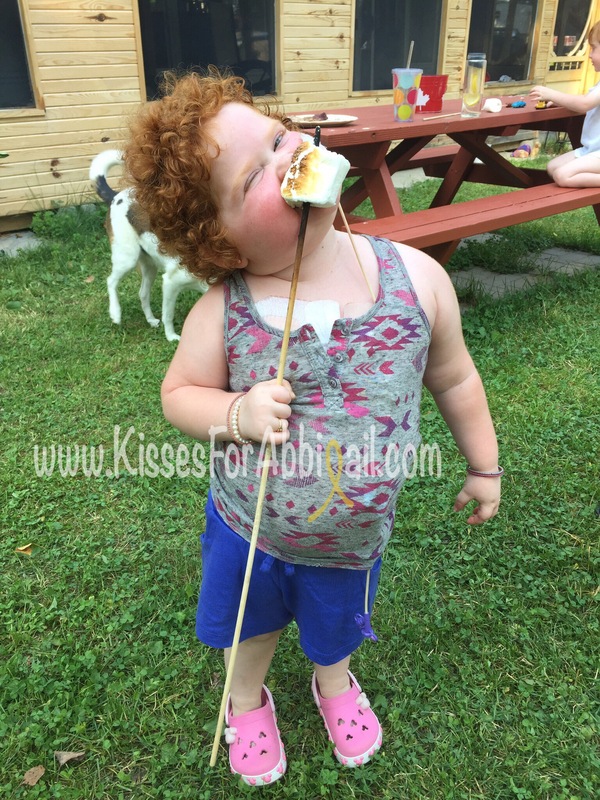 She continues to laugh and spread her joy! 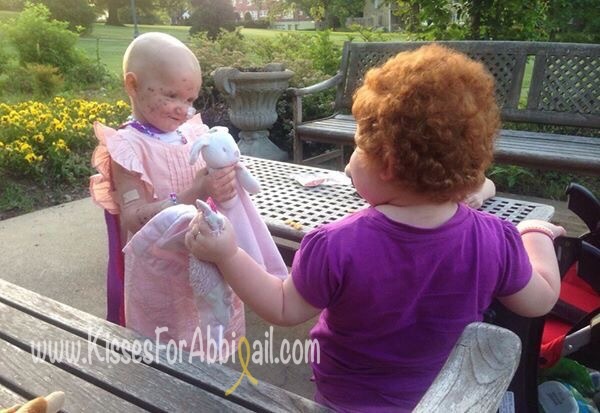 In Abbigail’s mind, there is always laughter to be had and smiles to be shared. Today she beamed down the halls of the hospital, waving to the many staff she has come to know and cherish; the cafeteria cook and cashier, the pharmacy assistant, the coffee shop ladies who keep mama awake and the ultrasound techs who took care of her baby cousin. She was such a proud big girl today, showing off her baby cousin and ensuring he knows his way around CHEO. 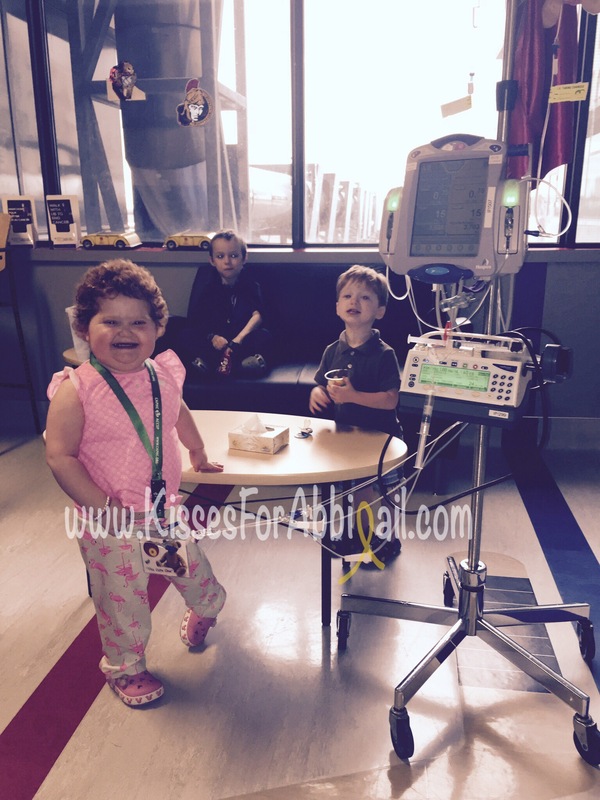 While he was meeting his new doctors and having his first CHEO experience, she was doing routine central line maintenance, having her lines “unclogged” and blood work drawn for her weekly virology tests. 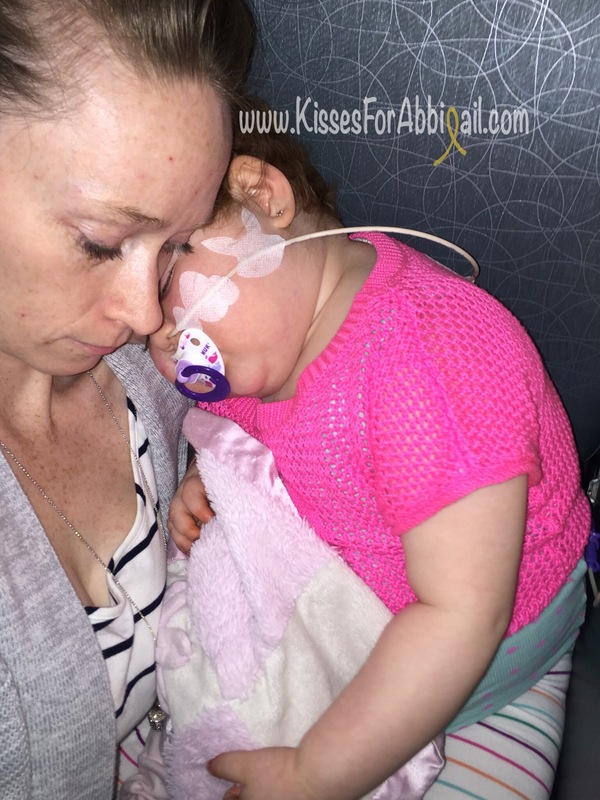 She doesn’t understand the details behind her diagnosis, she doesn’t know anything different than the multiple weekly visits to CHEO, treatments, surgeries, “sleepy time” (anaesthetic) and clinics. Abbigail is blessed with the naivety of a baby, not understanding why strangers are intruding in their personal space, but knowing their parents will keep them safe. Abbigail is still very much like her 4 month old baby cousin today, even at the beautiful age of almost five. 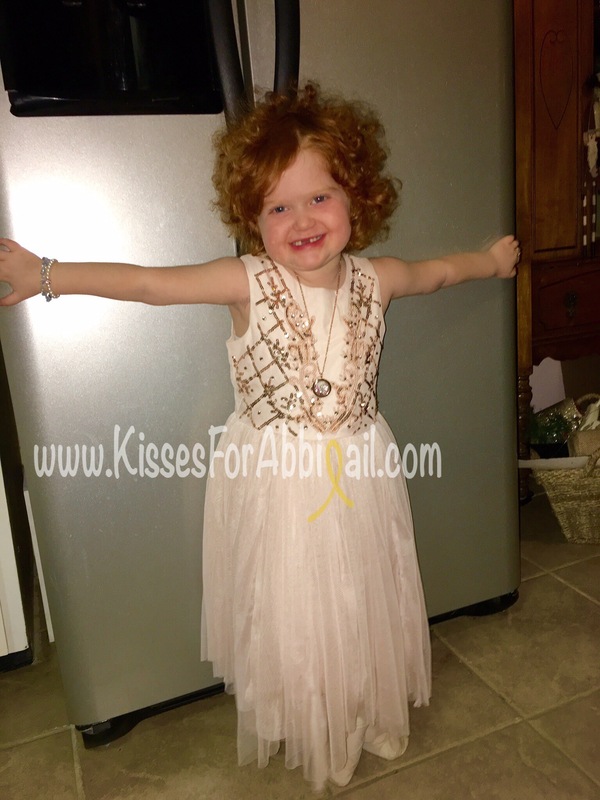 She doesn’t know that she has a rare and incurable disease for which she has battled for three years and continues to. She doesn’t realize that the “medicine” that saved her life twice already, received through her central lines, aka “tubies,” is in fact chemotherapy and that it could cause future, secondary cancers, and life long, sometimes detrimental side effects. 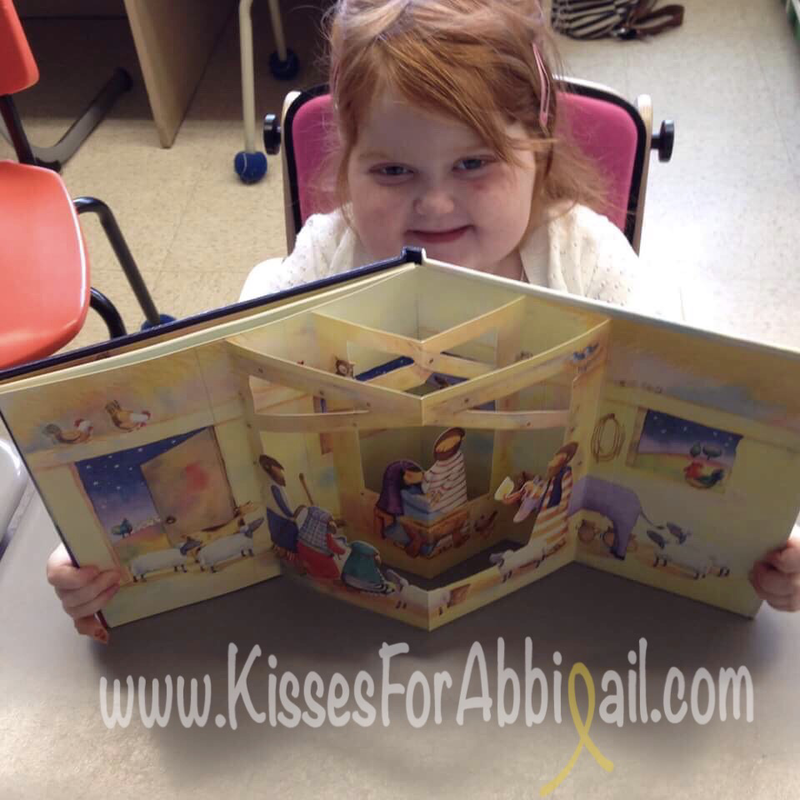 Abbigail is graced with a certain ignorance despite having her innocence robbed from her three years ago. Tomorrow she will walk back into CHEO to have her liver scanned. It shouldn’t be long before we have more information and before we have a plan forward…something to cling onto and pray for. Please keep her in your prayers tomorrow morning and envision a “healthier” liver for our princess. She deserves to register for kindergarten and not have to withdraw again this year. Thank you everyone for all of the support!